December is one long month of holiday parties. Or, one long month of deciding which holiday parties you’re going to RSVP ‘yes’ to. Well, this one’s a no-brainer. Our boutiques are hosting a can’t-miss holiday event on Saturday, December 9th from 11am to 3pm. We’re treating our guests (that’s you) to bubbly cocktails, little bites, and special savings on some of our favorite looks of the season. Better yet? We’ll wrap every present you purchase in our signature gift box and bow. Seriously, when was the last time a holiday party made life easier? Score a special gift with purchase when you spend $250 or more. And the first ten guests at the door earn an extra surprise (#Itpaystobepunctual #NewYeargoals). So mark your calendar and RSVP here. We’ve got some partying (and some shopping) to do. 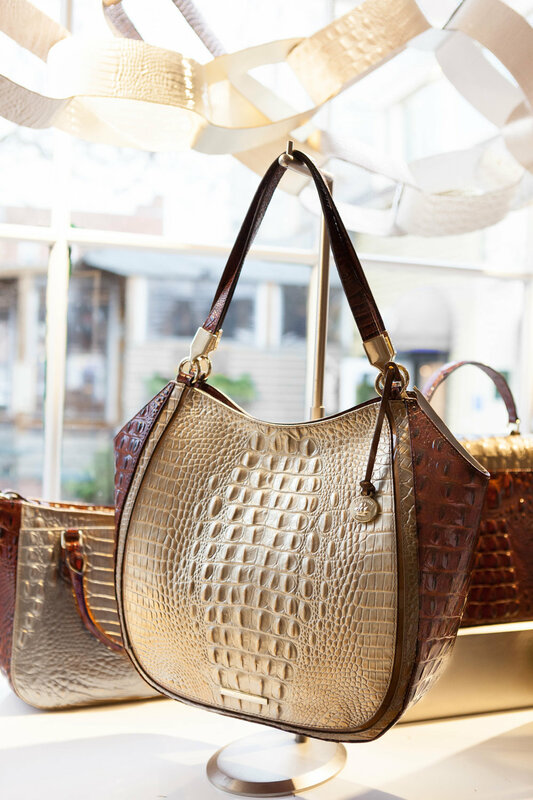 Take Note: Our envelope clutches are sold exclusively at Brahmin boutiques. Don’t forget to pick one up! Posted on December 7, 2017 by Brahmin Handbags and filed under Events and tagged in-store events Holiday.